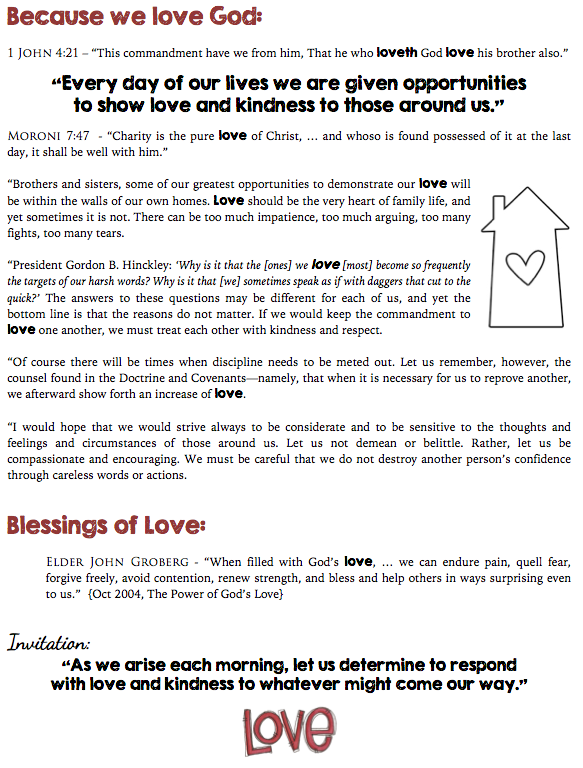 I taught the TFOT lesson today on President Monson’s April 2014 Message: Love, the Essence of the Gospel. My favorite part was comments by sisters in our ward. Bearing testimony of tender mercies. 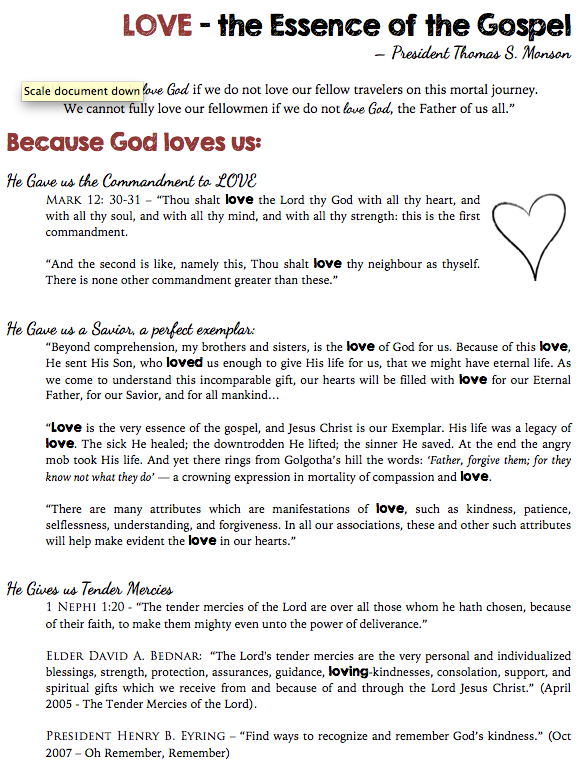 Teaching that LOVE is a spiritual gift. Learn to love ourselves in a healthy way. Charity, the pure LOVE of God, never fails. We can be filled with the LOVE of God as we pray and ask Him for this gift. Oh, how I need this gift, especially in this phase of life as mother to little ones.